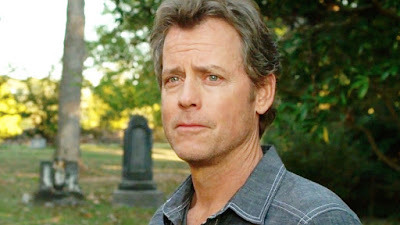 Greg Kinnear wouldn't be my first choice to play comedy legend Bob Hope, but it's certainly an inspired move. Kinnear will play Hope, with Phantom Thread's Lesley Manville as his wife Dolores, in Misbehaviour, the Miss World dramedy set to star Keira Knightley. The story follows the real-life events surrounding the 1970 Miss World contest, which was disrupted by the newly created Women's Liberation Movement. They ransacked the live televised broadcast which was being hosted by a dumbfounded Bob Hope. When the show resumed, the winner wasn't the Swedish contestant as everyone expected, but instead the winner was Miss Grenada, making her the first black woman ever crowned Miss World. The film will also star Gugu Mbatha-Raw, Jessie Buckley, Rhys Ifans, Keely Hawes, and Phyllis Logan. Philippa Lowthorpe is directing with production currently underway. Kinnear can currently be seen in the final season of Netflix's House of Cards.